Sorry for the long long silence. My life’s been hectic but here’s a short update on what I’ve been up to. 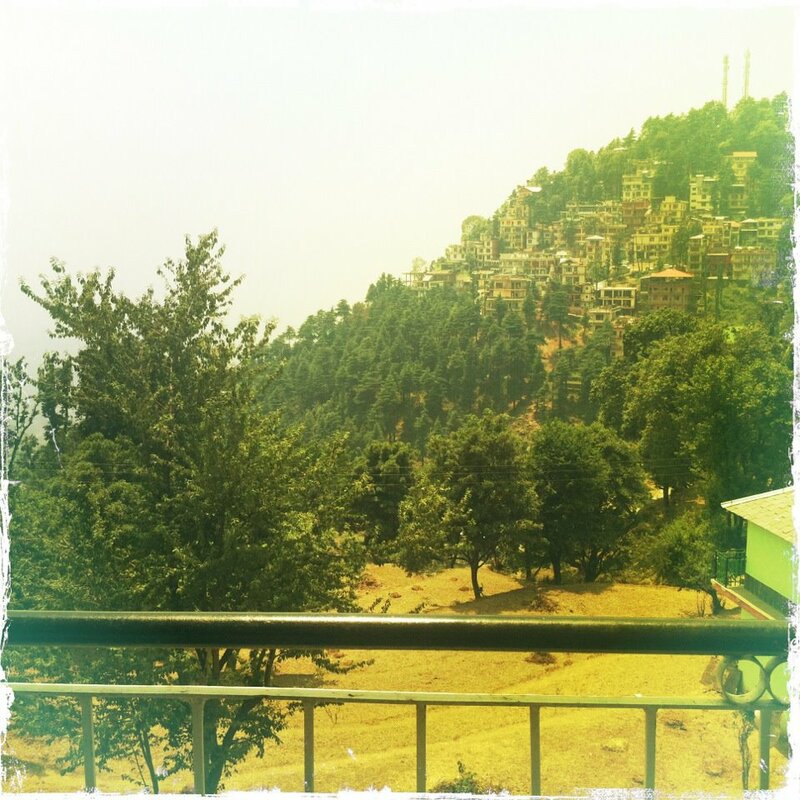 After finals month at school, I flew off to Dharamsala, India to begin the preliminary work for my research. Thus, the long silence. Being back in Dharamsala only after a year feels weird, things are pretty much the same, but not in some sense. It’s the first time I’m visiting Dhasa as a researcher but that’s something only I’m aware of. Dhasa, through the lens of my anthropology training, has now become my research field. In between seeing friends, sharing meals, drinking nasty kingfisher beers, and actual interviews, I’ve been processing and mulling over my research questions to realize they weren’t as open ended as I had hoped them to be. But I guess that’s why they call it preliminary work. At the same time that I’m here, the second Lhakar Academy has also been taking place. I’ve visited several times to meet up with some old friends, who are now trainers, and made some new ones, participants, along the way. Let’s just say that this years participants are a bunch of passionate hard hitters that know how to put their passion to constructive work. It was a nice change of pace; I had been occupied all year in reading about the lives and passions of people in print that I was in dire need to be around real people with real passions. I mean papers are all insightful and stuff but I needed some real people contact. Then there was the Gyalyum Chenmo Memorial Gold Cup (GCMGC) football games, GCM for short. 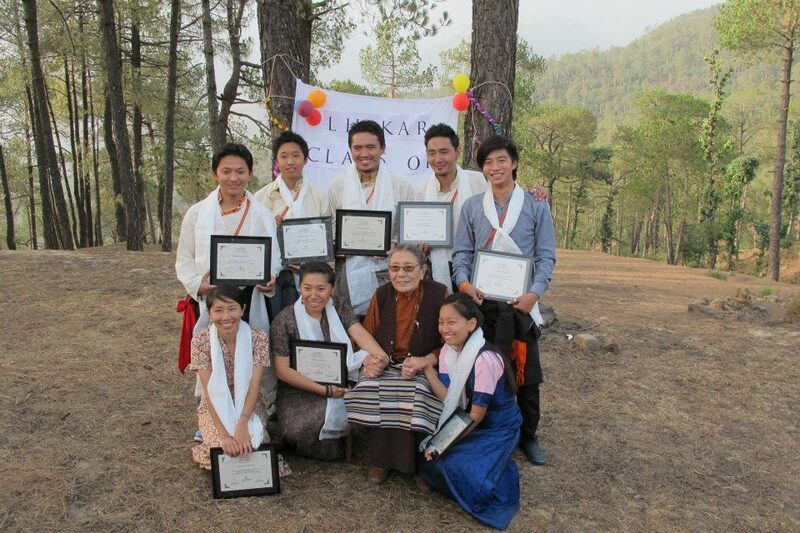 This year’s games took place at Upper TCV (Tibetan Children’s Village) and Lower TCV. On my previous stays in India, I had heard many stories, good and bad, about the infamous GCM games and this was my first time witnessing it. 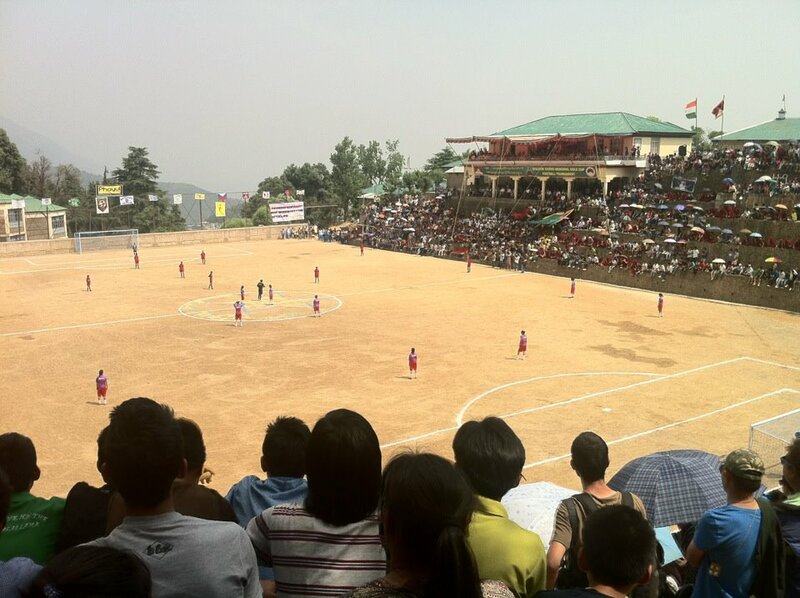 At the opening ceremony and the final game, I had never seen so many Tibetans gathered around one game. To be completely honest, I’m not a football, or any sports for that matter, fan. But the GCM games were different. I got that sense of feeling that most football fanatics in the US get from watching the final football game, with half time and all. You know, that BIG-DEAL feeling…that I somehow sort of tied in with a sense of nation at the GCM. I thought that this is what it may feel like when Tibet wins independence and we’ll watch the Tibetan national football league play off against teams from different regions of Tibet. Considering everything that has been taking place and continue to take place in Tibet. I thought the GCM, with respect to those inside Tibet, were a good/fun way to rejuvenate as a community. To feel a sense of togetherness over shared excitement and joy over games to invigorate us mentally, physically, and psychologically as a community to face more hardships and opportunities that will come on our path to nationhood. Here’s my brief update. Hope to gain more experiences in the coming days. Hope you guys are also having an eventful Lhakar!